Last year, Sesame Street was in the news for introducing a Muppet character with autism. Now, a theme park based on the show has been designated a certified autism center. 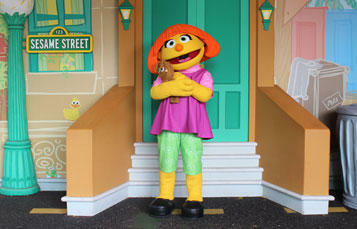 Today on the Best of Our Knowledge, we’ll talk about the changes this year at Sesame Place. We’ll also explore how people with autism and other conditions are finding their way into the media, talk to a big time comet hunter, and spend an Academic Minute looking out for asteroids.